It would be quite impossible to be a minimalist and to learn to live with less if you keep accumulating more. Stop shopping excessively, and shift to shopping mindfully with awareness of how much you are consuming. This is the first step to minimalist living, but is no easy task for many. You might be surprised how mindlessly you shop, especially when tempted by a “One Day Only Sale,” a coupon, or wanting to buy something after seeing someone else have it. Start to notice the temptation, and try to switch your consumption habits to only buying what you actually need. Go for a walk outside instead of walking around the mall or read a novel you already own instead of perusing Amazon. The first step to minimalist living is to stop brining more stuff into your life. Many of us don’t even know the quantity of what we own. When was the last time you pulled out every single T Shirt in your drawer and decided how many you really need and wear regularly, and got rid of the rest? Or have you recently realized you suddenly have about 1,000 extra hangers and Tupperware containers, right after you purchased a few more? 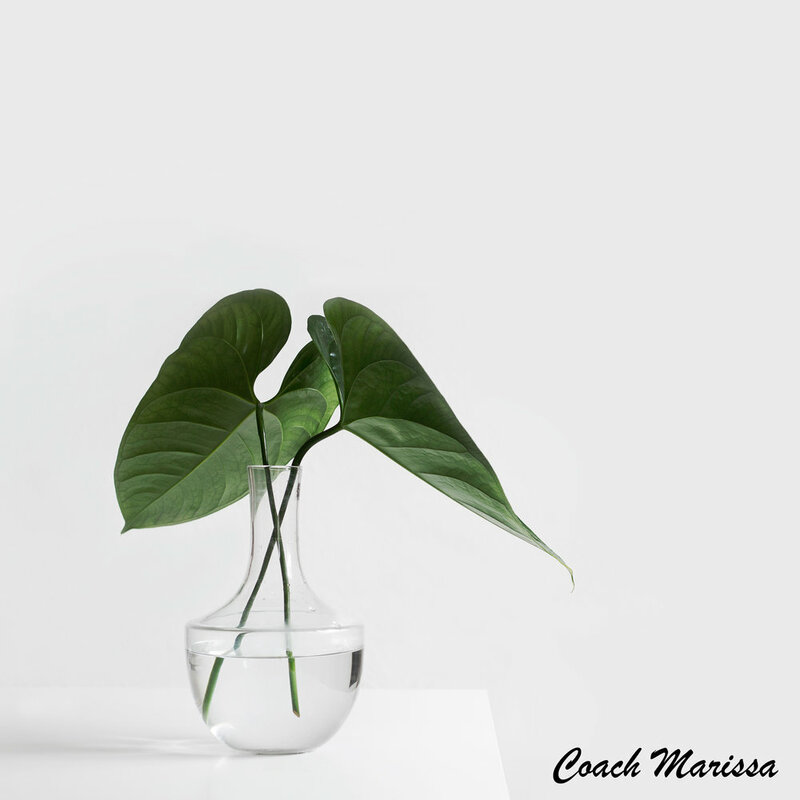 One of the easiest ways to stop accumulating and to start living like a minimalist is to be realistic about how much you already have, as well as how little you really need. Taking stock of what you own is a great way to prevent buying multiples of things, but even more importantly it is also a time to notice the abundance in your life. Many of us already have all of the clothes we would need to get us through an entire season, or already have plenty of serving dishes for the holidays. Part of the minimalist mindset is to stop wanting more and more, and to instead feel like you have enough already. Once you have taken stock of what you have, it’s time to eliminate the excess. This is where tapping into the minimalist mindset of less is more is really key. Try to set some rules for yourself before you start sorting through your closets and garage for things that you will get rid of. This could include purging anything that you haven’t worn in the last year, anything that is broken or in bad shape, or anything that you don’t really love. Start small with a manageable project like a junk drawer, the bathroom cabinets, or even the fridge. Toss, recycle, donate, or sell as much as you can. Remember that other people can use the items that are currently in boxes in the basement or lost in the back of your closet. Let yourself take the time you need during the elimination process. It can be exhausting and emotional to part with things, especially if they have sentimental value. If you need help, consider hiring a professional organizer or ask a friend you trust to give some opinions on items you are not sure about. You’ll be surprised how little you really need once you start to reduce and how spacious your life begins to feel. After you have done all of the hard work of purging the excess in your life, set limits so you don’t end up with as much stuff as you started with in just a few months from now. Cap the quantity of what you own. For example, you might only keep as many socks and underwear as you need for one week if you do your laundry every Sunday, or you might only have as many towels as fit on the one shelf that you have designated for towels, or you might eliminate any external storage units and only keep what fits in your actual living space. By setting some limits on what you own and on what you buy in the future, you will be able to actually sustain living like a minimalist. Notice the difference. The benefit of minimalist living goes way beyond having a tidy house or freeing up space to finally park that second car in the garage. Once you learn to live with less, you will be amazed how much more time is added to your life. By not having to maintain so many things, not having to spend so much time cleaning up your house or looking for your keys, and by not having so many clothing options every morning that it takes you forever to pick something to wear, you will have more physical as well as mental space that you can use to focus on much more important things. Eliminating physical and mental clutter from your day-to-day will allow you to spend more time with your family and friends, working on a new project, or pursuing whatever it is that you really love to do. You’ll be encouraged to keep simplifying and living like a minimalist because when you reduce your stuff, you maximize your life.